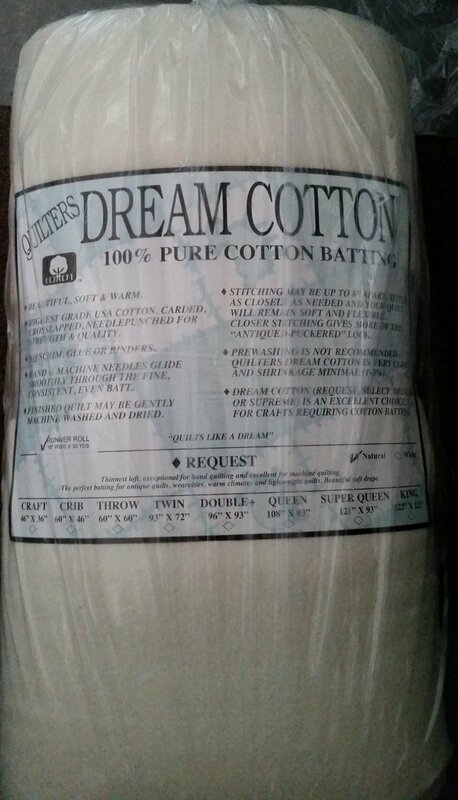 100% pure cotton batting in natural color. 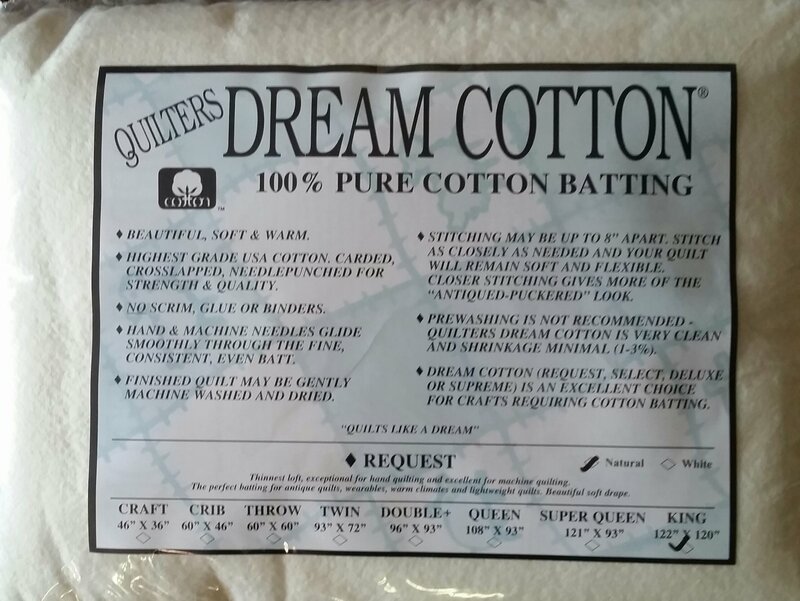 Highest grade USA cotton, carded, crosslapped, needlepunched for strength & quality. NO scrim, glue or binders. Hand & machine needles glide smoothly through the fine, consistent, even batt. 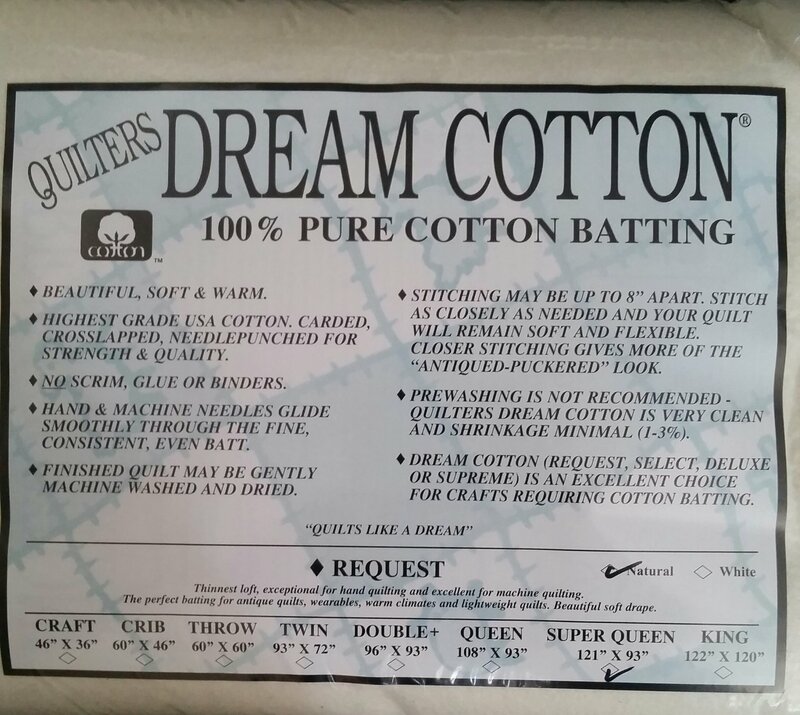 Stitching may be up to 8" apart. 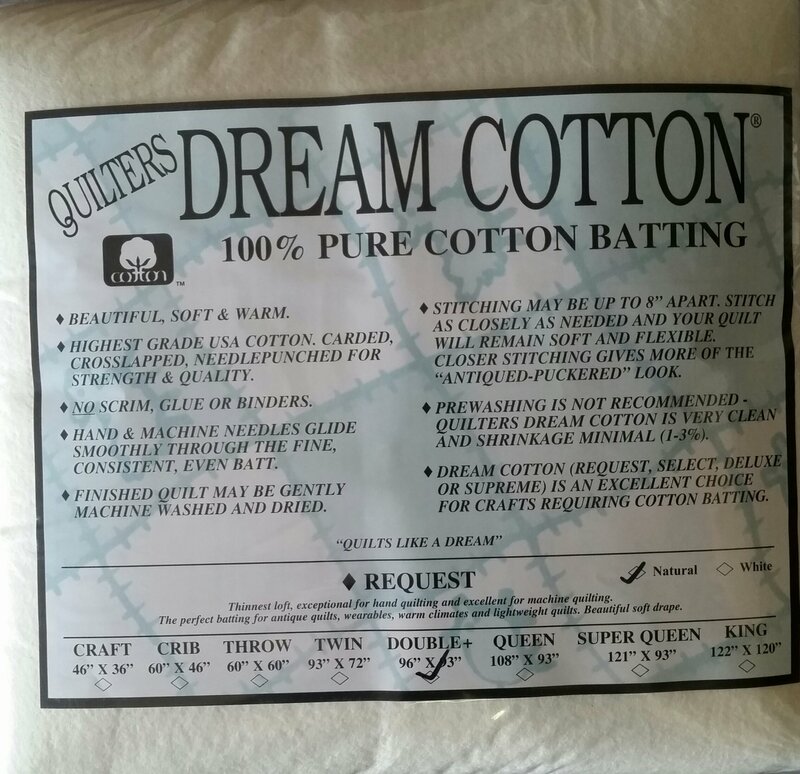 Stitch as closely as needed and your quilt will remain soft and flexible. Close stitching gives more of the "antiqued-puckered" look. 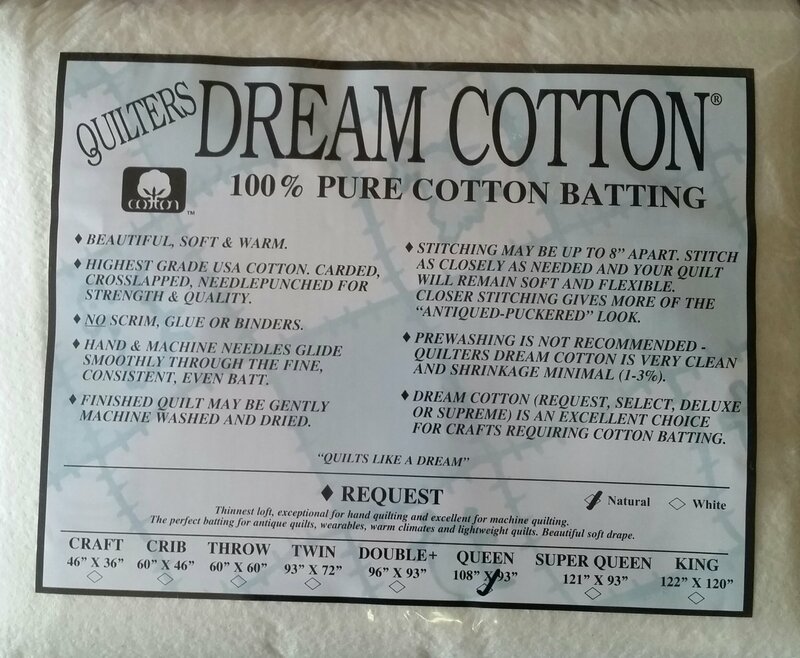 Prewashing is not recommended as Quilters Dream Cotton is very clean and shrinkage is minimal (1-3%). 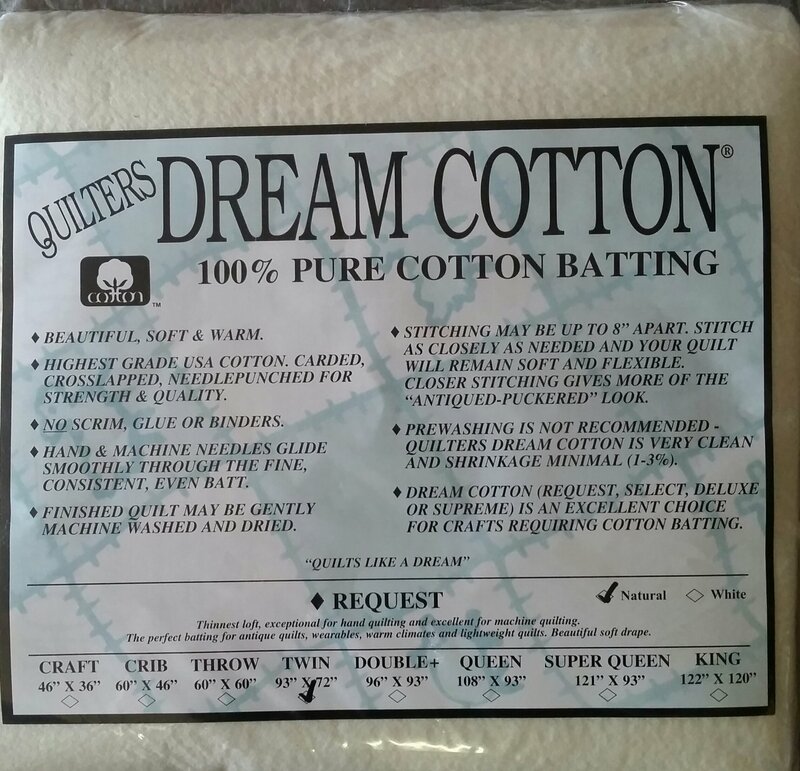 Dream Cotton Request is an excellent choice for crafts requiring cotton batting.